Inner-City Arts started the New Year with music, horses, and lots of flowers. Our long-time friends and supporters, Wells Fargo, invited our students to take centerstage during the festivities leading up to and during the 130th Tournament of Roses Parade. 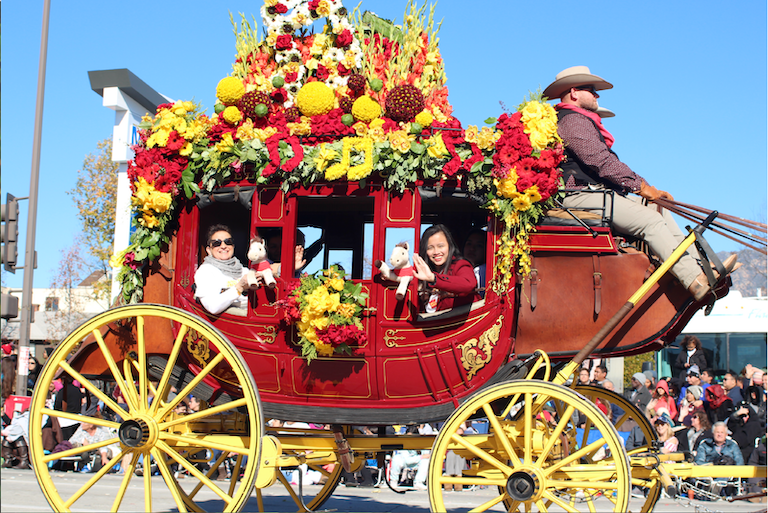 Days before the 2019 Rose Parade, Inner-City Arts student alumni Yrah Ramos Del Sol sang the national anthem at Equestfest while a group of high school students decorated the Wells Fargo float. Our students were later featured on Univision’s “Primera Hora” to talk about their experience decorating the floats! To celebrate this year’s Rose Parade theme, “Melody of Life,” Wells Fargo selected Inner-City Arts and two up-and-coming musicians to join them on New Year’s Day, exemplifying the company’s commitment to supporting creativity and music in their communities. A group of Inner-City Arts students and staff road aboard the iconic stagecoaches in the grand finale of the Rose Parade. “We took this opportunity to honor musicians and students at Inner-City Arts by helping them achieve their dreams,” said Alice Juarez, Wells Fargo’s Foothill Valley region bank president. Victor’s impact is bigger than he thinks. Over 30 million viewers tune in to watch the Rose Parade every year! Thank you to Wells Fargo for amplifying the voices of our students and continually supporting our mission to provide a safe space for thousands of underserved students to develop, explore, and connect through creativity. Previous StoryCreativity is a Gift, and This One’s for You.